The west side of the 9th and Q Street intersection was occupied by two bustling hotels in the 1880s. On the northwest and southwest corners were the Peoria and the Arlington, respectively. 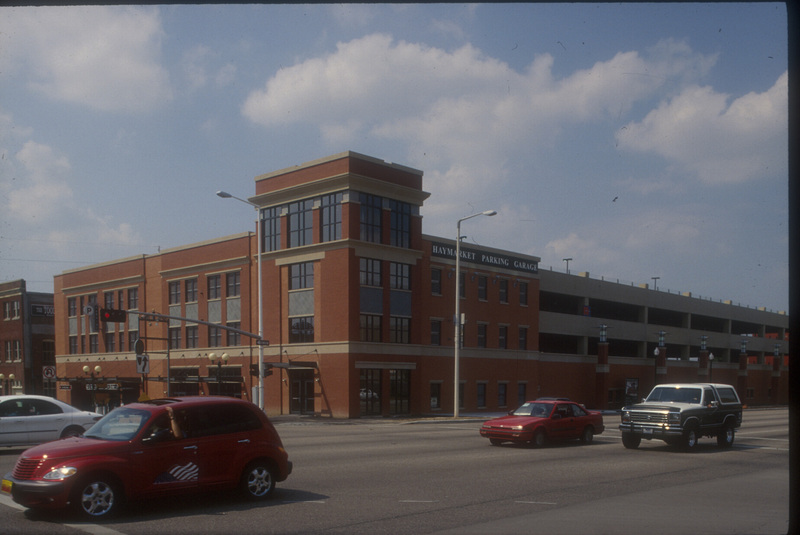 Today, the 9th Street frontage between Q and R Streets, including the site of the Peoria hotel, is the site of the block-long Haymarket Parking Garage, well-designed in 2002 by Sinclair Hille Architects. This key structure effectively frames both the Q Street entrance into the Haymarket, and the I-180 entrance into downtown Lincoln.